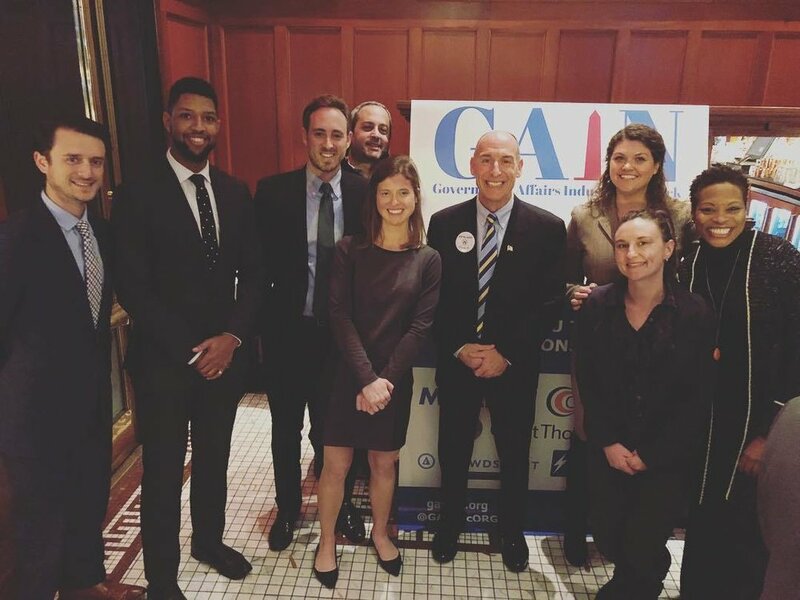 On Thursday, November 16, the Government Affairs Industry Network (GAIN) hosted its quarterly Third Thursday networking reception at Tadich Grill in Penn Quarter to benefit Thrive DC. Thrive works to prevent and end homelessness in Washington, DC by providing vulnerable people with a wide range of services to help stabilize their lives. GAIN is proud to announce having raised $3,200 for the organization thanks to generous sponsors Coalescent, Crowdskout, Grant Thornton, MetLife, Phone2Action and The Showalter Group. In keeping with the spirit of Inclusively Connecting DC, the event saw many new faces from the Thrive community, Capitol Hill, K Street and more, as well as familiar folks who were happy to welcome them. Thanks to the top-notch hospitality from the staff at Tadich, guests enjoyed delicious food and beverage over impactful conversations. The next Third Thursday will be hosted on January 18 from 5:30 – 7:30 PM. Additional details will be announced along with GAIN’s 1Q18 event lineup in the coming weeks.